Compensation comes in many forms. This guide helps you evaluate what each piece is worth to you. When investigating potential jobs or opportunities, it’s easy to get excited about large sign-on bonuses, inflated hourly rates or what appear to be substantial benefits packages—because these are all compensation tools used to catch the eye of prospective candidates. Not so fast, my friend! To consider total compensation, you need to see the complete picture, one that includes all these factors as well as a way to gauge the value of them as it relates to your situation. In this article, we will take a shallow dive into some of the more common forms of compensation and address how to find common denominators so that you can fairly compare one factor to the rest of the package (as well as compare to others that may be markedly different). 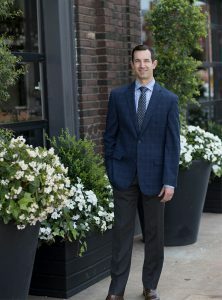 Jason Eppler, M.D., recommends consulting an oft-overlooked source about a group’s reputation: the grapevine. Other physicians, nurses and ancillary staff can give great indicators about the culture, metrics and long-term viability of the group. It may seem like advice you would get in a fortune cookie, but “know your needs” is a critical step. Erik Petersen, D.O., regional medical director for American Physician Partners, noticed the recurring theme of preparation. 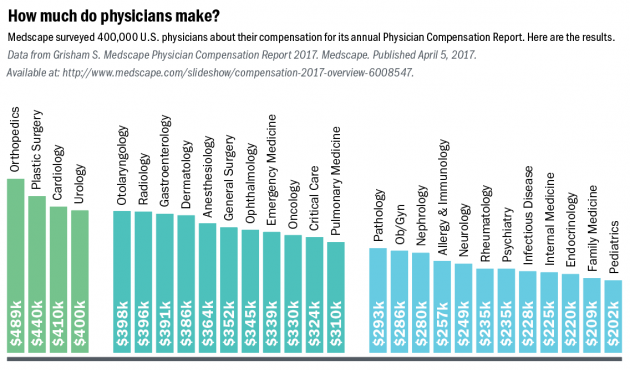 Medicine continues to demonstrate a lack of standardization regarding overall compensation across specialty and geography. Every situation is different. Family, geography, loans and other debt, investments, businesses, charity work and more can all play big roles in whether you should accept a high pay rate and fewer benefits or vice versa. 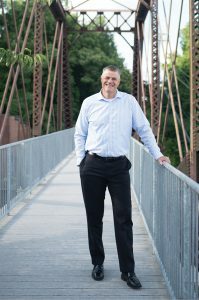 “At the end of the day, having a firm grasp on your own limitations and flexibility will increase your chances of avoiding otherwise unseen pitfalls along the way,” Petersen says. If you have a 7 percent interest rate on your student loans, for example, then it could be less helpful to have a 401(k) match instead of loan repayment benefits. This isn’t to say that starting a retirement plan is a bad thing, just that your financial focal points will change as your personal situation does. In addition, when a prospective job is presented to you, the employer or recruiter will communicate all the reasons they think the job would be a great fit for you. Their reasons might include a great health care package, shorter shifts, free lunch in the hospital cafeteria or any number of things. On the surface, these benefits sound wonderful…unless your spouse has access to a benefits package, you prefer longer shifts for more days off, and the cafeteria isn’t open during your night shifts. In this case, a higher straight hourly rate or more contributions to your 401(k) might be more ideal. In short, there are several ancillary and sometimes unique offerings that an opportunity will provide, and knowing which ones will benefit you the most will help you determine which items are of value and which are not. In addition to checking online and industry sources, be sure you check the proverbial grapevine. Other physicians, nurses and staff can give great indications about the culture and viability of the group. Any agreed-upon conditions or incentives must be written into your contract, or they do not exist. Clarify performance incentives and partnership track opportunities, and get the details included in your contract. Noncompete clauses generally prohibit physicians from practicing within a certain geographic area for a defined period of time. Noninterference clauses prohibit physicians from going behind the backs of their contract holders to undermine the contract. In exchange, these physicians are free to work at other emergency departments in the area, or to be hired by a new group that might win the contract at the contract holder’s hospital. Extremely high rates might signal that the opportunity is taxed by several challenges, such as high patients per provider hour, poor staffing, high provider turnover, overwhelming metric goals, etc. Most employers will offer the convenience of a standard compensation package or contract. There is nothing standard, however, when it comes to the livelihood of you and your family. But most new employees don’t ask for a change, due to fear of being arrogant or ungrateful. Contract negotiations can be stressful by nature, but they certainly don’t have to be malignant. If so, you may need to ask yourself if this is the right group for you. Most compensation packages are centered around a principle you learned back in middle school economics: supply and demand. More desirable areas and a higher concentration of available physicians will equate to lower pay rates. The easiest examples are Hawaii and the Florida Keys. Both have a line out the metaphorical door for providers waiting to get in, but both by and large also have the lowest pay rates in the country. On the flip side, many locations that are less desirable for a multitude of reasons will carry higher compensation packages. Keep in mind that a “less desirable location” is not necessarily a bad location; its supply is just less than the general demand. Location also comes into play when considering the area’s cost of living and local taxes—two factors that can potentially have the largest impact on your take-home pay after all is said and done. Be aware of the tax laws where you intend on living and practicing, as there can be additional state, county and township taxes. As a fan of a particular football team which will remain nameless (but resides in Jacksonville, Florida), I can say that a major draw for free agents is no state tax. As a free agent in your own right, you should take into account the difference in your taxable income, which can be as high as 10 percent of your annual pay (e.g. a $30,000 difference each and every year on $300,000 in annual salary). The next step in comparing your compensation offers is to establish a common denominator. In this case, the almighty dollar is the easiest. This doesn’t mean that you are only out for the money, but, instead, can offer a way to find the relative value of each portion of your compensation package. Though this may sound complex, it can be determined simply by establishing the annual dollar value of a benefit, then dividing that by your projected hours over the course of the year. A simple example would be two weeks of PTO, for which you would simply multiply your hourly wage by the hours provided. A more complicated scenario, however, could revolve around hitting a performance bonus, which in itself contains some uncertainty. To determine the value of a bonus, you must consider not only the dollar amount, but also the statistical likelihood of hitting that target each time. If your employer is willing to contribute all or even a portion of your health/vision/dental benefit premiums, that’s hard to beat. In reality, the company contribution to your plan is the true benefit here. To determine the value of this portion of your compensation, divide that monthly amount by your number of hours. As a side note, make sure that the network also covers your local hospital and desired clinical network. As an employee, your employer will pay a portion of taxes as well as minimize the effort required when it comes time to file your tax return. Benefits, retirement and other group benefits are offered (sometimes at lower rates) and managed for you, which can be a big timesaver. As an independent contractor, business expenses qualify as a tax write-off. Scrubs, gas, travel, health care premiums, etc., are all tax-deductible. Managing your taxable income is a top priority for a contractor. Being able to knock yourself down a tax bracket or two can easily make a five-figure difference in your annual take-home pay. You can also save significantly more for retirement in a tax-deductible plan (up to $54,000 per year vs. $18,000 as a W-2 employee). Creating an entity can allow more financial planning advantages and possibly an extra layer of liability protection. An independent contractor’s benefits are portable, and you can tailor them to your own needs. For example, a single, healthy 35-year-old male may need different coverage than a 45-year-old with a heart condition and family. It’s hard to ignore the increasing focus on the variety of metric incentives like patient satisfaction and quality-based measurements, because they are an ever-growing part of health care. These typically are considered to be indicators of consistently good patient care and satisfaction. As a portion of compensation, it is important to have a good understanding of how they are tracked and the consistency of success. In many cases, you may need to rely on other departments within your system to achieve your goals, so situations like nursing shortages, volume variance, etc., can play a big role. Be sure to speak to other folks who work there to get a feel for if you are walking into a well-oiled machine or a 1978 Cutlass. The most successful negotiators calmly approach the table with facts. This approach helped Tony Briningstool, M.D., consider-and meet-a group’s benefit requests. I would be remiss not to mention a partnership track, although there is such variety here that it is tough to lump them all into one group. Two of the biggest factors to consider are your ability to achieve partner status and group liability. In most partnerships, there is a certain time frame or set of criteria that must be achieved before you become fully vested in the group. These goals need to be reasonable and attainable and should also have some sort of guarantee. Once the goals are met, the partnership should be granted. The track record of the previous success of potential partners is the best indicator of how viable the option is, so don’t hesitate to ask about it. A relative value unit (RVU) is simply a unit of measure by which to judge the dollar value of any medical action. In addition, be sure you have a method of obtaining feedback and chart reviews so you can continue to improve your documentation and accurately capture all services rendered. Knowing how to document procedures, critical care, etc., can play a huge difference in how much you are able to bill over the course of months or years, which in turn will directly affect your compensation. One other main cause for heartburn among even the savviest negotiators is the dreaded counteroffer. Each situation is obviously a little different, but the number-one rule is to approach it rationally and with facts. On more than one occasion, I have been presented with the following line: “I just feel like I deserve more money.” That is, of course, not the best approach to justifying additional compensation. “Recently we encountered a situation where our company would be taking over an existing practice of emergency providers from a different organization. In this particular case, both benefits packages couldn’t be more diverse from different in-network health providers. They had 401(k) match and PTO whereas we did not, but our base rate was set higher to account for some of these differences. After we presented our initial proposal, we were sent a request for a meeting with all the providers to sit in person and discuss the differences and address questions. In this situation, the approach taken by the providers was just as important, if not more so, than the counteroffer itself. While no method has a 100 percent success rate, laying out a logical argument based on facts and data of the surrounding market certainly has the best chance to be considered. In closing, I wanted to touch on a point that I think is one of the most critical and most often overlooked ideas in negotiating: making sure the package is viable in the long term. If you are lucky enough to stumble across a position that is willing to pay well above the market value, then it is certainly worth investigating—but understand that it may very well not last. In addition, if you find yourself making more than the rest of the physicians around you, you can bet that the clock is ticking on the longevity of that position. To reiterate, be sure to do your homework! This is so you can not only maximize your total compensation, but also make sure it is a sustainable rate for your employer. Derek Sawyer is a physician recruiter for American Physician Partners.